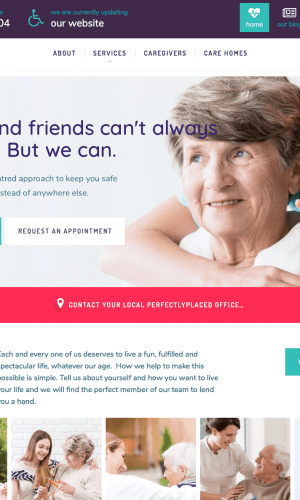 Start-up Package for a care and companionship agency. 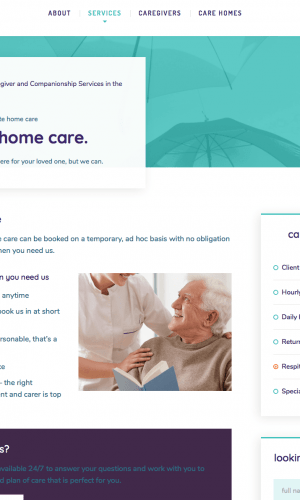 Commissioned to take care of the full branding, website development and consultancy to help launch this care and companionship business nationwide. 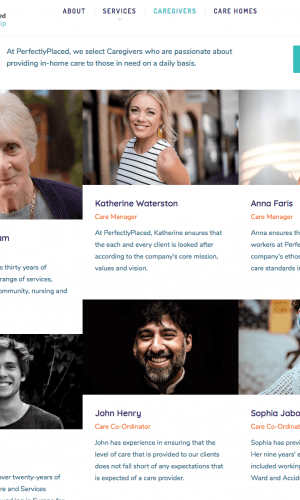 A start-up care and companionship agency, based in Berkshire. With tight deadlines prior to launching the business, Marketing Empire had 7 weeks to design/develop the new website, put in place the branding guidelines, work on some of the copywriting for the site … this was all achieved in under 5 weeks to the client’s delight. 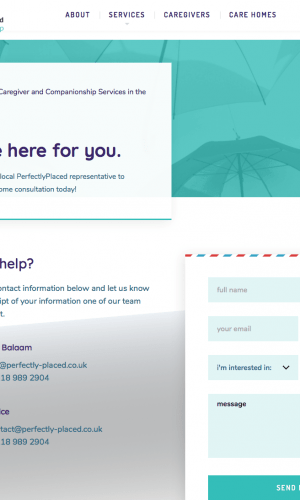 Our focus was ensuring a user-friendly website that contains the comprehensive breakdown of services, whilst being easy to navigate through for prospective clients – this also included a very ‘enquiry-driven’ approach by including contact forms and buttons on all pages. A challenging but fun project to help shape the future of, with an excellent client who took on board our advice and suggestions throughout. “Utterly superb. Deren and his team’s approach to our project has been outstanding, ensuring they kept us in the loop throughout the process, whilst taking the time to really comprehend our visions for this new agency. The website is simply amazing; I was concerned that due to the high quantity of information required to be displayed, that the website may become a bit of a minefield to navigate. However, the team have made the site so straightforward for any of our prospects/clients to navigate, easily laid out, modern and works on all smartphones too!